KATHMANDU, Dec 1: In early 2013, Nepal introduced a provision which for the first time set a minimum wage for its citizens working in the countries of the Gulf. The provision, which was based on the recommendations of Nepal's embassy in Doha, had prescribed 900 riyals per month as the minimum wage for Nepalis working in Qatar. Four years later, Qatar is fixing a much lower minimum wage. Nepal is now left with two hard choices: revise its own minimum wage downwards or allow hiring only by companies that are ready to pay a basic wage of 900 riyals. Qatar on November 16 announced that every worker in the Gulf emirate would be entitled to a basic wage of 750 riyals, or 150 riyals less than the minimum wage set by the Nepal government. Qatar has described the minimum wage-related provision as the latest in a series of measures to strengthen the rights and welfare of expatriates working there. Even as some international organizations such as the International Labour Organization (ILO) have supported this change, it is regressive from Nepal's perspective. “Let's not forget that this is an 18 percent reduction in wages from the current minimum wage set by the Nepali government for Nepali workers going to Qatar,” Catherine Chen, who works for Humanity United, a US-based charity working on issues of human rights, cautioned in a tweet after Qatari labour minister Issa al-Nuaimi announced the minimum wage rule. On January 21, 2013, Nepal had set a minimum wage of 900 riyals for its citizen working in Qatar as unskilled workers. In addition, employers are also required to provide free board amounting to 300 riyals per worker. Nepal has also set minimum wages for the semi-skilled, skilled and professionals working in Qatar. Nepal's laws bar Qatari companies from hiring workers unless they commit to paying 1,100 riyals and 1,500 riyals to semi-skilled and skilled workers respectively. This does not include free board or a lump sum allowance of 300 riyals. Similarly, companies are required to pay 4,200 riyals plus 500 riyals in food allowance to professionals. Nepal has set similar minimum wages for countries like Saudi Arabia, Bahrain and Oman, while some other countries such as Israel, South Korea and Malaysia have prescribed minimum wages on their own. 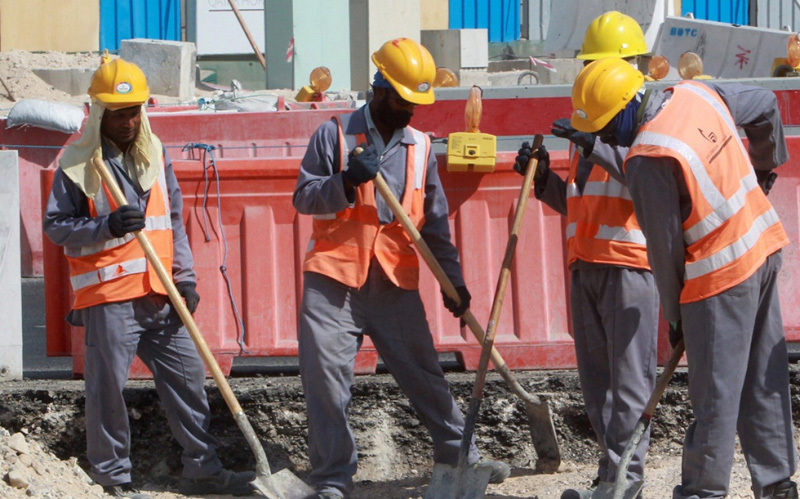 Qatar's new wage rule is likely to shrink worker incomes and add to their financial burden. Many Nepali workers pay exorbitant service charges to recruitment agents. The case is more or less the same for workers from countries like Bangladesh, India, Myanmar and Pakistan. It takes most workers more than one year to pay back what they borrow from local moneylenders while going abroad. Amnesty International says that workers pay as much as 60 percent interest on the loans. The basic wage amount in Qatar is less than in other work destinations like Malaysia, Bahrain, Oman and Kuwait. Qatar is far better off than these countries and the work that unskilled workers do there is much more demanding. Qatar is hosting the 2022 football World Cup and most workers it hires from Nepal and Bangladesh are employed in construction. Workers fear that the minimum wage rule might further curtail the rights of workers who have long been subject to abuse and exploitation. They say Nepali workers are better off without such a rule. “There is a danger that 750 riyals will be the new normal and even companies which were paying 900 riyals will now refuse to pay more than the new minimum,” said Krishna Pun, who works as a security guard in Qatar. Pun now receives around 1,800 riyals and is worried that the company might cut his wage. Many other Nepali workers have similar fears, he added. Ganesh Gurung, a migration expert, said the present situation would not have developed had Nepal taken Qatar and other destination countries into confidence while introducing its minimum wage rule. Recruitment agencies in Kathmandu say that Nepal should raise the issue at the highest level with Qatari authorities. “Nepal should endorse 750 riyals or stop sending workers until Qatar agrees to abide by our minimum wage standard. The different policies of the labor-sending and labor-receiving countries will only complicate matters,” said Kumud Khanal, former vice president of Nepal Association of Foreign Employment Association (NAFEA). Khanal says the two different rules are likely to increase the use of fake work contracts. Many manpower agencies use forged documents get around the minimum wage rule while seeking permits from the Department of Foreign Employment. Government officials said Nepal would raise this issue with the Qatari side but clarified that it would stick to its own minimum wage rule. 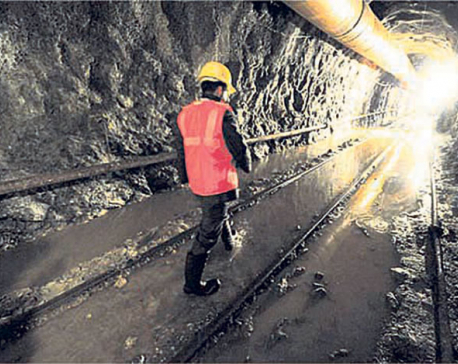 Gurung, however, said that such a stance could increase the faking of paperwork or dampen the overall demand for workers. Qatar is one of the key destination countries for Nepali workers, who form a pool of around 400,000. Nepalis are the second largest nationality residing in Qatar, more than Qatar's own population.